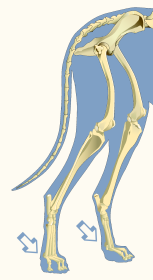 Bones of the metatarsus, between the tarsus (ankle) and the phalanges (toes). Proximal bones of digits (toes). The proximal bones of digits (toes). 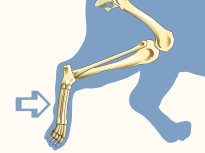 Joints between metatarsal bones and proximal phalanges of toes of the hind foot. Abbreviated to the MTP joints.